I'd been thinking about starting a thread on here since ArtWar finished so here we go. I'm currently working on creating an illustration and a portrait for a character I created in 2017. 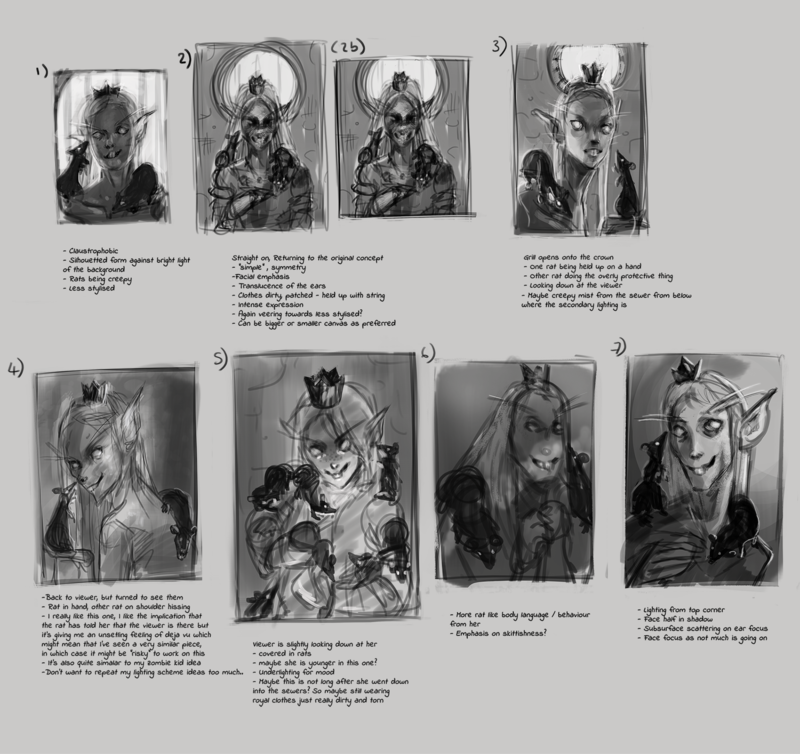 At the moment I'm leaning towards 3) (maybe ditching the rat on her hand to make it less busy), 4), 5) (younger version so when she's a kid) or 7). And then illustration wise probably b), a) or g). 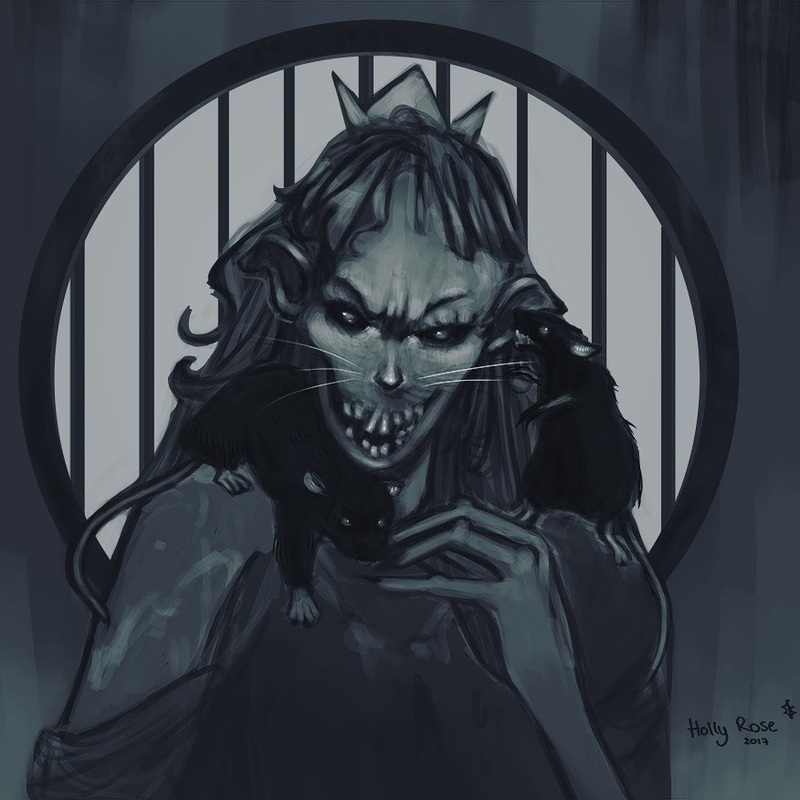 While she's not meant to be evil (she hangs out with rats in the sewers and looks a bit like one, that's all), I'm sort of okay with her maybe looking it in one image, just to get across a sort of "the viewer is scared" of her thing, trying to do forceful narrative perhaps. I don't think the rat on her hand in 3) makes it too busy. In fact I thought it was a good balance. If it's just 1 rat, it looks like a special unique rat pet. 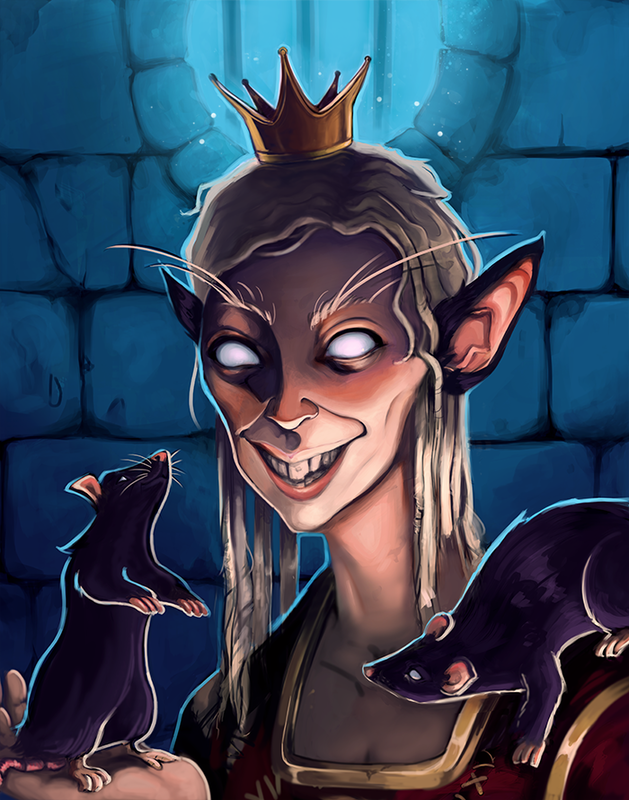 I get the feeling that this character has to do with a ton of rats. I really like a), it has a story feel to it. b) just feels like another one of those pose a girl with stuff around her but it's just really pose a girl pretty kind of composition. g) is also interesting because of the unusual view angle which helps this illustration stands out more from the crowd. Thank you I really appreciate this. 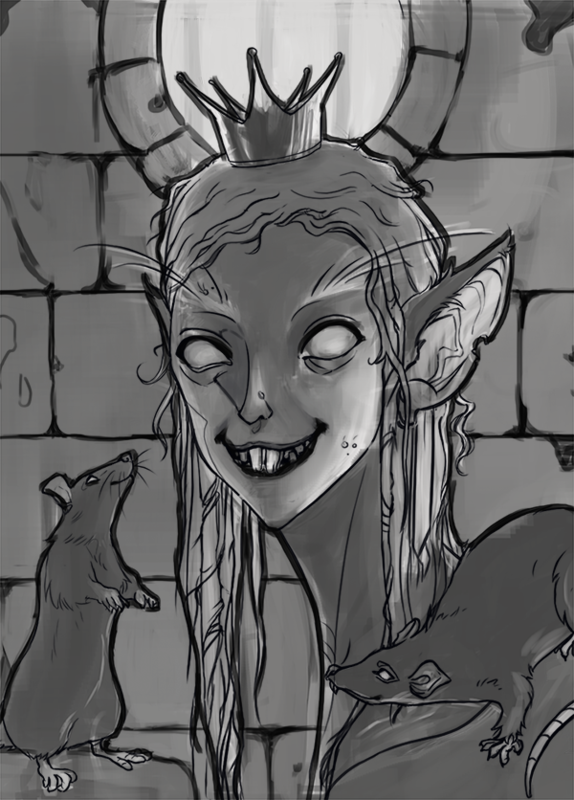 Yes, lots of rats for this girl, I'll bear what you've said in mind it's really insightful. For the illustration, I like a, c and g the best. I like the darker ambience of ''c'' and I think it really focus on the character. ''a'' focus a bit less on her, but also gives us more context on her environment and where she lives so that's good too. And ''g'' as a great angle and could make for a really interesting piece. Whatever you pick, I think it's going to be a very nice illustration! I took some time doing some lineart for the portrait, as that isn't something I usually do, but thought it might be a worthwhile experiment. It will be kind of interesting to see how useful it is, because at the moment I feel like it took an awfully long time for what doesn't feel like "progress" as such. Thank you for your thoughts on this, I'm pretty torn about it! Ha ha. Still, hopefully better to have too many options than not enough? 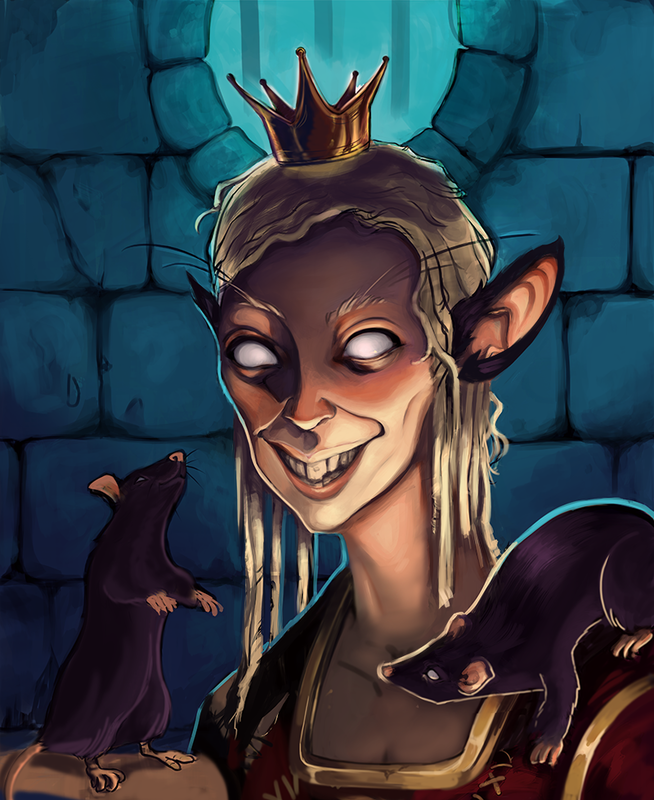 At least I can be certain that there will be rats! 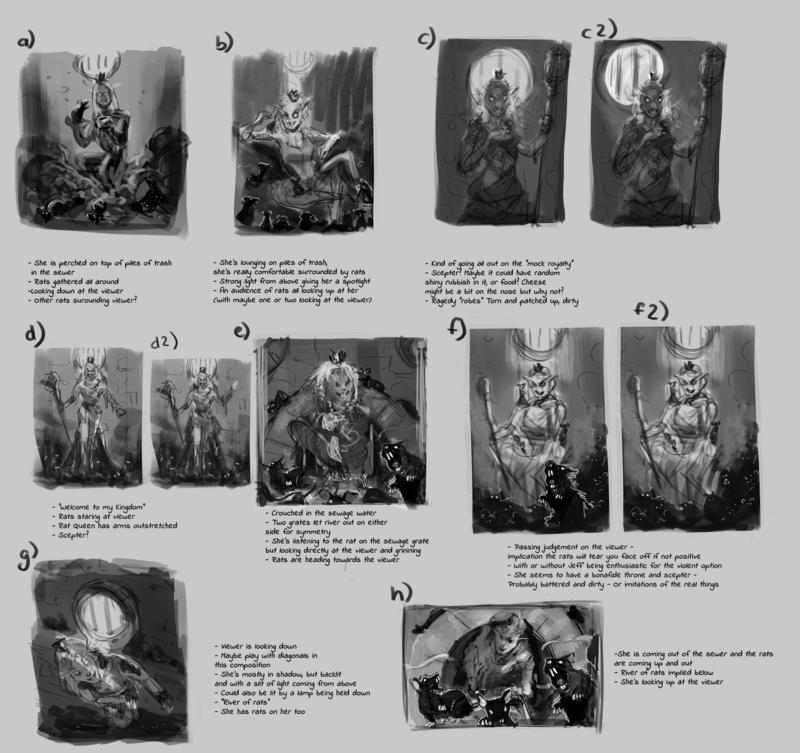 I really like the mood in your drawing, creepy yet engaging. Progress. I've been trying to get the stylisation right, but it's pretty hard. Fun though. Ha ha thank you, I hope I can pull off that compromise in the end. Rats are good! Okay some more progress, gonna work on something else for a week or so, in the hope that when I come back to this I'll figure out some more of the issues with fresh eyes.